A bride lets her groom organise their big day. Steve wants to transport his bride-to-be Nicki back to the early nineties with a Guns N' Roses-inspired wedding. Rock-loving Steve recently turned forty and wants to transport his bride-to-be Nicki back to the early nineties with a Guns N' Roses-inspired wedding. 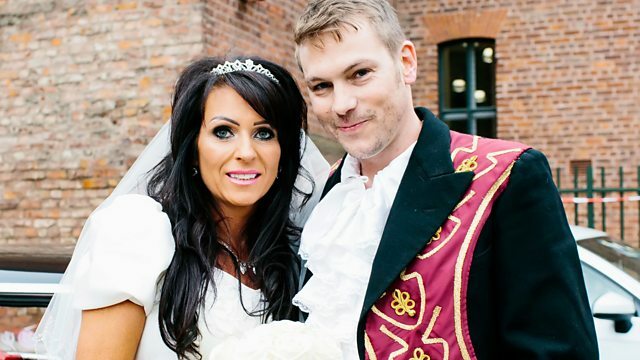 The only problem is, back in the day Nicki only pretended to like the rock scene to get Stephen's attention and she actually dreams of a traditional, stately home affair for her big day. After three weeks getting lost down memory lane, will Stephen's rock video wedding be a stairway to heaven or a highway to hell?